Radio station KBOO’s Prison Pipeline program recently interviewed CCQ’s Rachel Wallis to share with their listeners about our prison quilting program. Rachel teaches in our Thursday afternoon class. Rachel was involved in community quilting in Chicago before moving to Portland. She’s an activist who uses art in her organizing work, and an artist who engages in issues of racial and social justice. 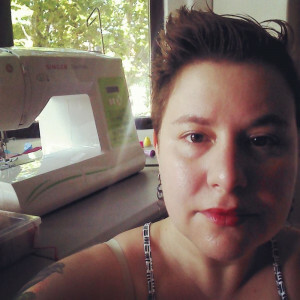 Rachel believes that traditional textile techniques, and particularly quilting, can provide a platform for creating dialog and understanding around complex ideas and issues. We invite you to listen to the half hour KBOO interview to learn more about Rachel and our program. CCQ instructor to speak at WMQC meeting.